TV makers are not really OS companies, and their streaming platforms show it. The UIs are primitive, and the OS functionality is limited by the computing horsepower — often not very much — built in at the time of manufacture. Since people generally don’t replace their TVs very often — certainly compared with how often they upgrade their phones — OS upgrades are limited to firmware updates, which don’t happen very often. Set-top box makers like Apple and Roku are certainly better at building operating systems than are most TV makers, and they iterate more frequently. But the highly fragmented universe of streaming platforms means the apps on any one of them often fall well behind the update curve. When a developer wants to issue an update, their iOS and Android apps are the priority because that’s where the most users are. The smart TV and set-top box versions, however, often require bespoke development efforts for each platform to reach relatively small slices of the market. The inevitable result is there is not a lot of iteration of smart TV apps. With its new P-series TVs, however, Vizio may finally have found a way to part TV apps on mobile time, and it did it largely by getting rid of TV apps. The new TVs, ranging from 50-inches up to 75, are powered entirely by Google Cast, the technology underlying Chromecast, and it ships with a six-inch Android tablet that serves as a remote control. There are no built-in apps and no app store. There is no embedded apps platform. The TV itself sports relatively little computing horsepower. Instead, all streaming content is accessed via the tablet (or other mobile device running Vizio’s SmartCast app) and cast to the TV. 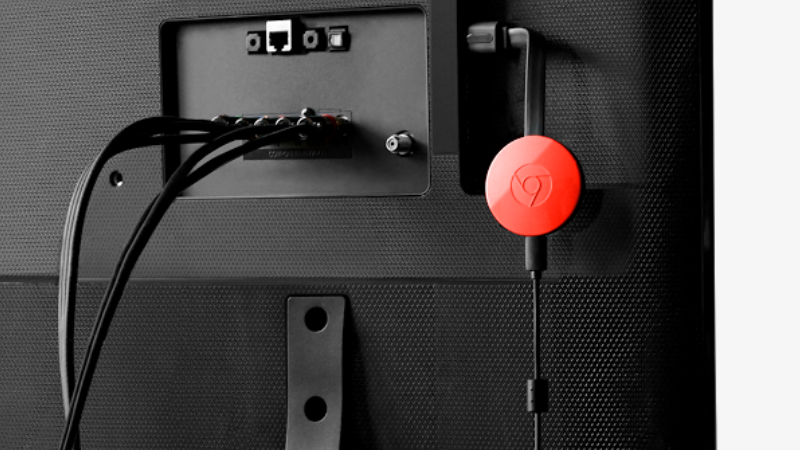 Unlike other third-party implementations of Google Cast, however, which typically just embed the functionality of a Chromecast dongle in their devices, the implementation in the P-series TVs is a deep integration of the Google Cast platform engineered in partnership with Google. Vizio’s SmartCast app actually communicates directly with the TVs’ firmware and can control all the functionality of the TV. There is nothing between the tablet (or smartphone) and the big screen. Google itself actually controls the Cast software in the TVs, which is partitioned from Vizio’s own software, so it can be kept in sync with the broader Google Cast ecosystem. As far as any app that supports Google Cast goes, a P-series TV is essentially a giant mobile device that you hang on the wall. Critically, by removing any other platform or operating system apart from Google Cast, the P-series TVs will be on the same upgrade cycle as the rest of the Google Cast ecosystem. The streaming experience using a P-series TV will also benefit from improvements in mobile hardware. “You may buy a new phone a year from now that has even more horsepower. Guess what? You’ll be able to play a new class of games and streaming that up to our television without having to buy a new TV,” Vizio CTO Matt McRae told The Verge. While neither Apple nor Google have had much success thus far dislodging incumbent pay-TV providers from their privileged position in the living room through direct assault, tvOS and Google Cast represent a kind of fifth column in the heart of enemy territory. The more the television set is absorbed into the dominant mobile ecosystems, the more leverage Apple and Google will accumulate over content owners and distributors. Given what iOS and Android have done to Windows and other desktop empires, I’d bet on the mobile guys. Could Songwriter Metadata Be Delivered Directly To Retailers?